Patna: Nitish Kumar’s party today said it was yet to hear anything from the BJP on seat sharing for next year’s general elections and a decision in this regard is overdue. The two parties had mutually agreed on August 12 as the deadline for a decision. 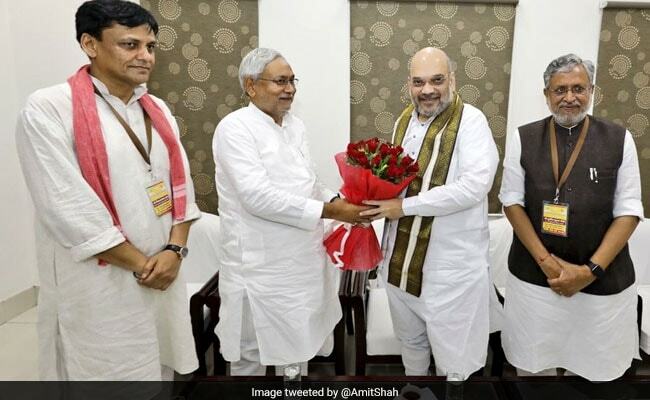 Sharing of Bihar’s 40 seats has been a contentious issue between the two parties over several months and in July, BJP chief Amit Shah flew down to Patna for exploratory discussions on the issue with Nitish Kumar. Today, Mr Kumar’s party colleague KC Tyagi said they are yet to hear from the BJP. “But we hope after the parliament session and the sense of gloom following the death of former Prime Minister and BJP patriarch Atal Bihari Vajpayee, now the top leadership will have time to deliberate on this issue,” he said. Mr Tyagi said the party is hoping that the BJP will get back with the number and names of the seats it can concede. “See, unlike other national and regional parties, we don’t have much resources. So unless we have clarity on the seats, how can you expect us to contest wholeheartedly?” Mr Tyagi said. The Janata Dal United has made it clear that the alliance with the BJP will be confined only to Bihar. Elsewhere the party has been busy fielding candidates against the BJP. In Bihar, the prickly issue had caused a rift between the leaders of the two parties months after Nitish Kumar ended the Grand Alliance with Lalu Yadav and the Congress in July last year and partnered with the BJP to form a new government. The BJP, which, along with its allies won 22 seats in 2014, wanted the maximum number of seats in Bihar and the projection of Narendra Modi as the face of the alliance across India. 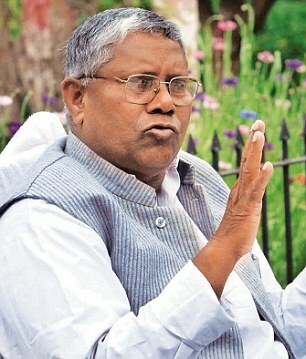 The Janata Dal United, which won 2 seats, wanted a 12 to 16 seats and the projection of Nitish Kumar in the state. When BJP chief Amit Shah met Mr Kumar, the two parties agreed to fast-track the seat sharing issue. An impression was given that August 5 would be the deadline, which was later extended by the Chief Minister to August 12. The state BJP leaders have been tightlipped on this issue, saying it was being discussed at the top level. But off the record they admitted that the matter needs to be sorted soon, as contesting the election without Nitish Kumar could be suicidal.